I first heard Natalie Sisson's name after listening to a podcast with Warren and Betsy Talbot, of An Uncluttered Life (formerly Married with Luggage). The idea of a Suitcase Entrepreneur was intriguing for someone hopelessly and happily infected with wanderlust, like me, and luckily, the Señor. I began listening to her podcast and learning from her experience and that of her guests as they designed their lives on their own terms. Since then, I have done quite a bit of personal development in lifestyle design and location independence. 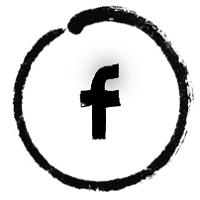 I have joined online communities of like-minded people who support and encourage each other and who share their challenges and victories as they pursue their own life by design. 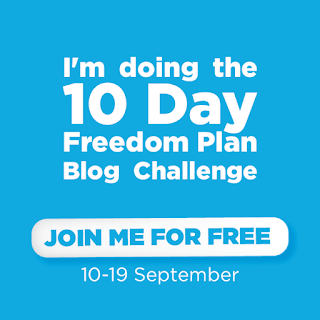 When Brittany of Living Unconditionally, one such online community, mentioned that she was participating in Natalie's 10 Day Freedom Plan Blog Challenge, I thought this was the perfect opportunity for some clarification on what our life would look like when we achieved our own push goals. So here we are...day one. Today's focus is on what holds us back. Interestingly, when your goals become clear, you want success to happen overnight. Suddenly, motivation is in abundance...that is, until you hit your first roadblock and the motivation train derails into a ditch. Drilling down to what holds us back can be difficult to name. Is it procrastination, self doubt, imposter syndrome? If we keep digging, it seems that the root of all road blocks, at least for me, is fear. Fear blocks progress. Fear tells us we're not good enough or that what we're doing will fail. Fear keeps us from taking risks and learning from our mistakes. Fear makes bumps in the road seem like ravines from which we can never emerge. Fear is what takes the wheel and drives our motivation train into the ditch. And that is certainly true for me. Fear tells me I can't. Fear asks me, "Who do you think you are?" and "Who are you kidding?" Fear says, "I told you so," when things don't go as planned. and "Let it go," when I think about giving up. Sometimes Fear gets the best of me. It manifests as procrastination to the point of inaction and at times, it's a battle fought one day at a time. 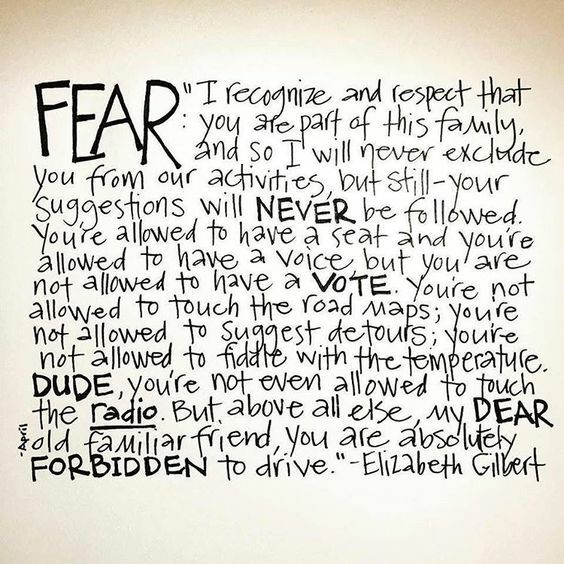 Acknowledge fear for what it is and do what you want anyway. Easier said than done, I'm sure, but what's the alternative? How about you? Is anything holding you back from living the life you want? 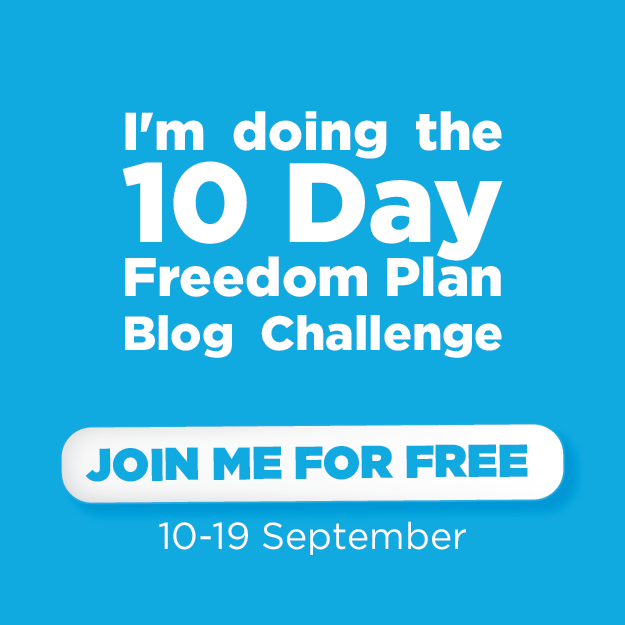 Do you want to participate in this free Freedom Plan Blog Challenge? Sign up here. Here's Natalie with the information on Day 1.